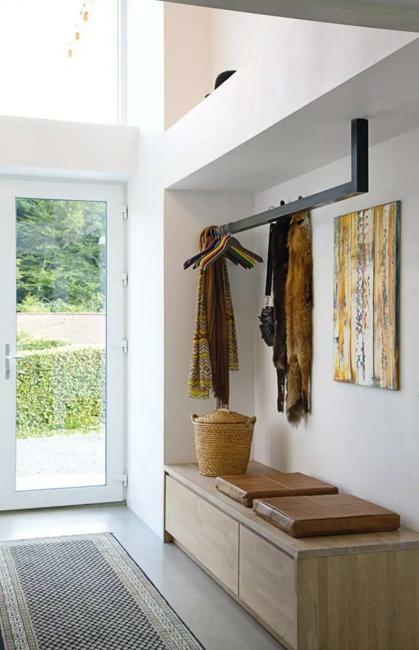 Attractive mudrooms beautify modern homes. Good home organization and functional furniture in your mudroom providing additional storage spaces allow to declutter your rooms and keep the living spaces light and breezy. A mudroom is a functional room that requires functional decorating which sets the mood and helps declutter the home. 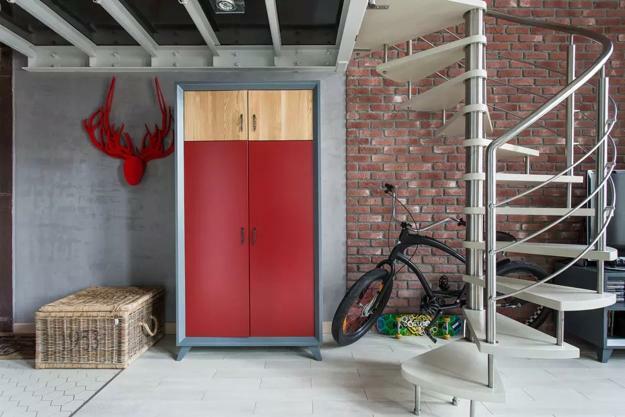 Check out the collection of entryway designs in various styles, find modern ideas for your mudroom design and decor. Mudrooms are great for storage. Filling the room with shelves and containers allows enjoying plenty of storage in a small home. A bench or a stool adds to comfortable and inviting room design. Modern lighting, racks, and handles can enhance your favorite style. 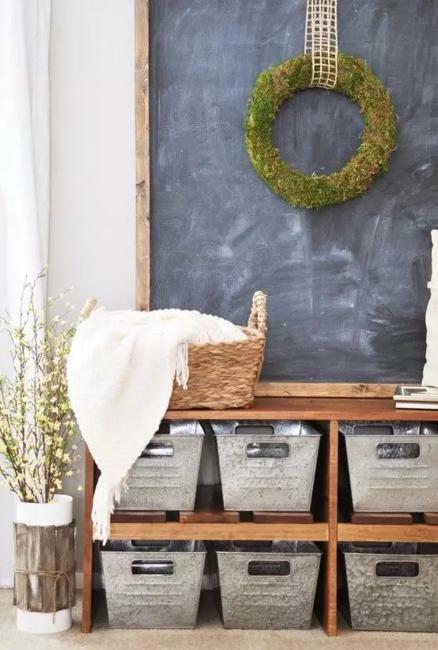 Original handmade decorations amplify a relaxing atmosphere of your home while sleek furniture and clutter-free mudroom design add a contemporary twist. 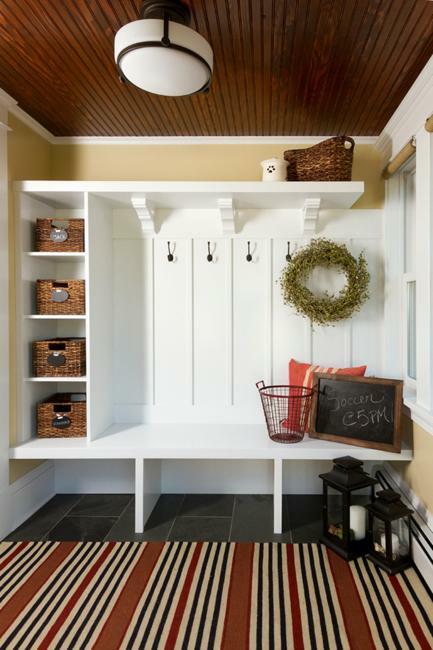 Storage spaces and a seat are the critical elements of entryway designs. 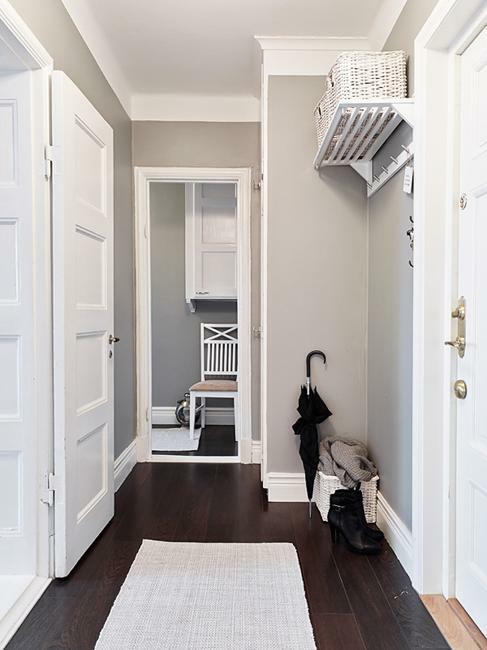 Having a comfortable place to seat in the room with convenient and abundant storage makes a mudroom a beautiful addition to your home interiors and increase home values. Light decorating and functional solutions turn a mudroom into something which does need to hide from a display. 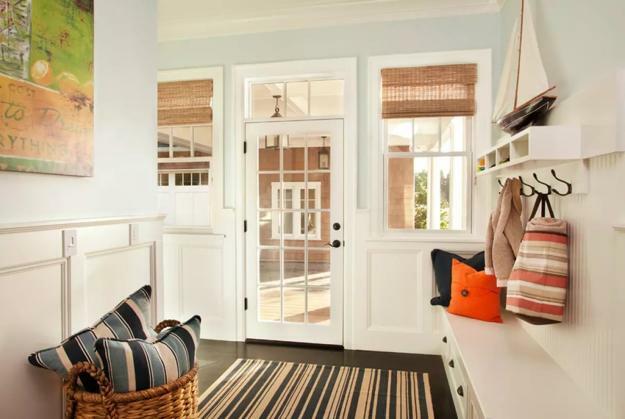 The stylish, bright, and attractive mudroom can become your second entryway. 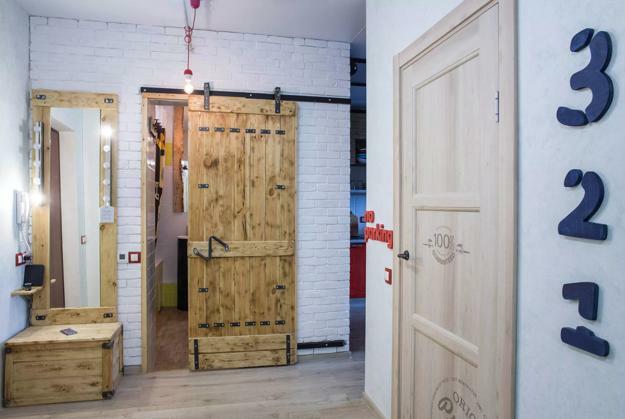 Loft style, minimalist, traditional or rustic decor offer fabulous options. 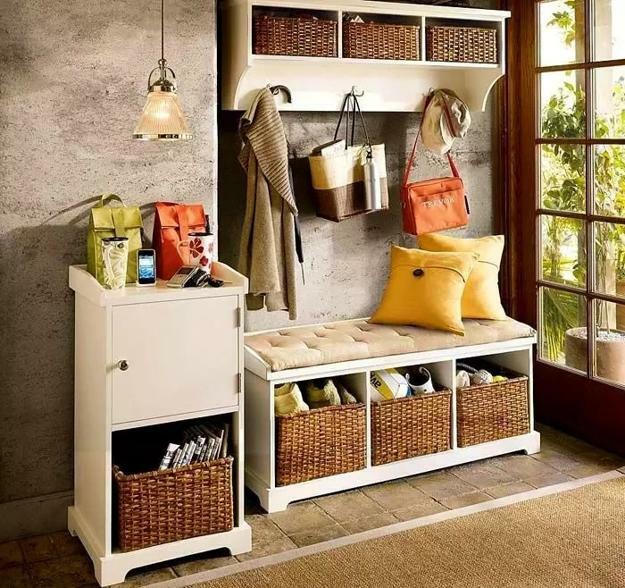 Entryway bench designs, racks, storage shelves, storage containers, baskets are items that can enhance your mudroom design style, add chic to the room decorating and create the comfortable, functional, modern space. Your mudroom can feature lots of storage space or be minimalist style. 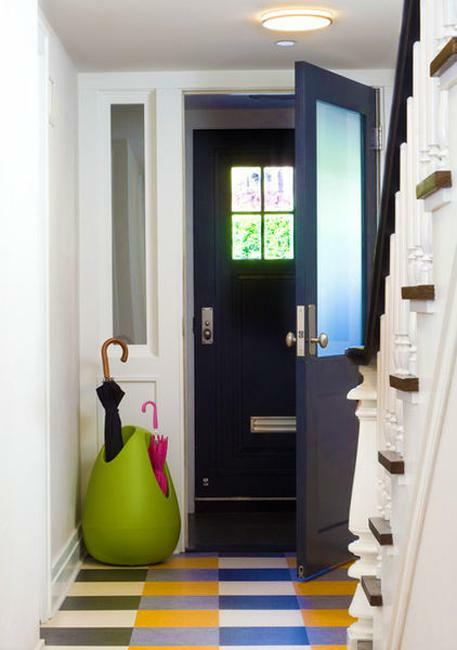 Bright interior colors, functional furniture, original accents, vibrant details mixed with neutral color tones are fantastic tools for creating beautiful entryway designs. 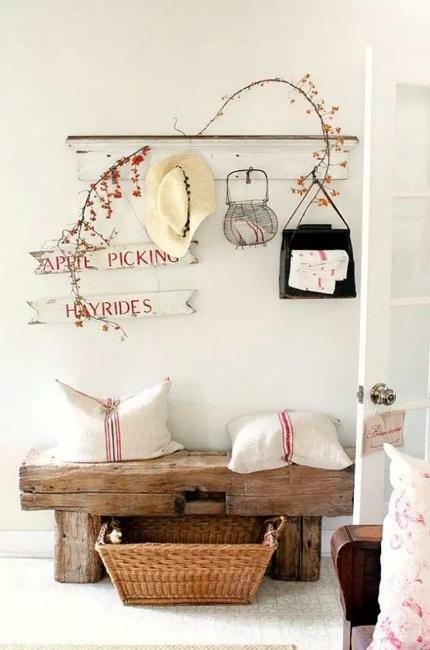 Rustic home decor ideas are charming. 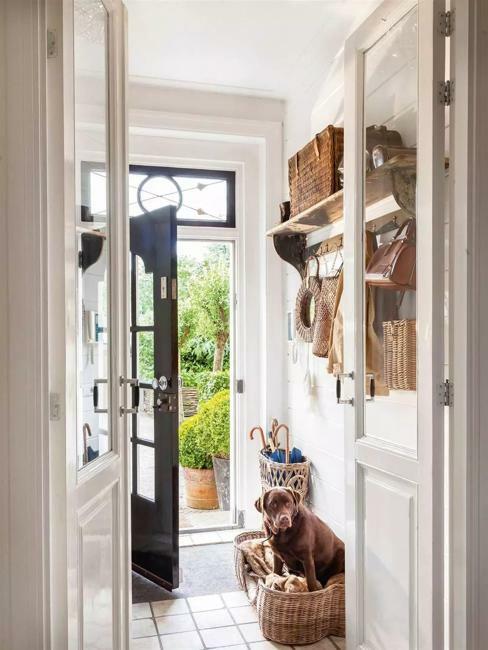 Wicker baskets, salvaged wood benches or coat racks blend coziness and warmth into a mudroom design and bring a vintage style charm into a home. Country home decorating ideas are attractive also. 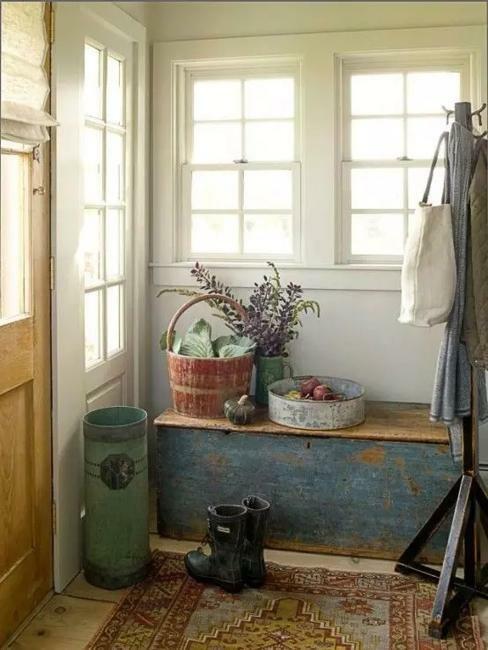 Functional, simplified, and cozy country home decor is another excellent idea for your mudroom design. Soft pillows, country home style curtains, floral designs look familiar and welcoming. Built-in entryway benches are space-saving ideas that help maximize the small spaces. 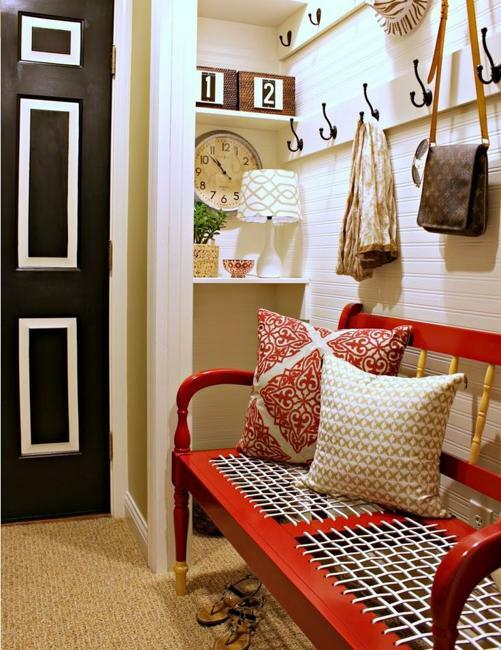 An integrated seat brings comfort into the mudroom design, and pillows can jazz up the interior decorating with textures and colors. 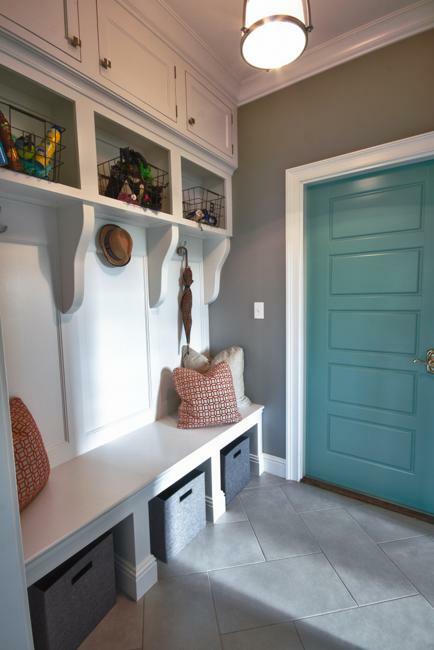 A built-in bench is a fantastic idea for homes with kids. 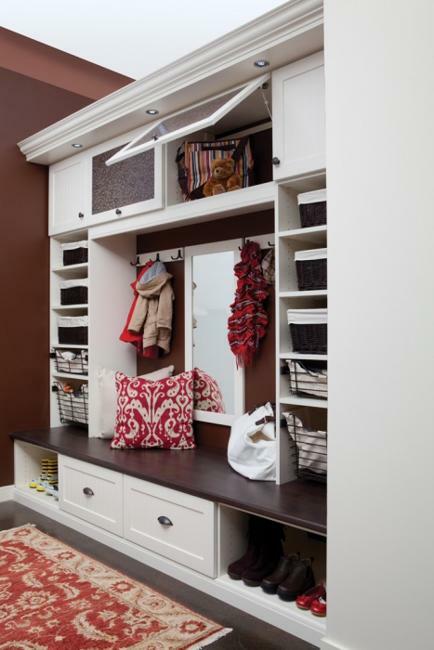 It provides additional storage and improves the functionality of the mudroom. 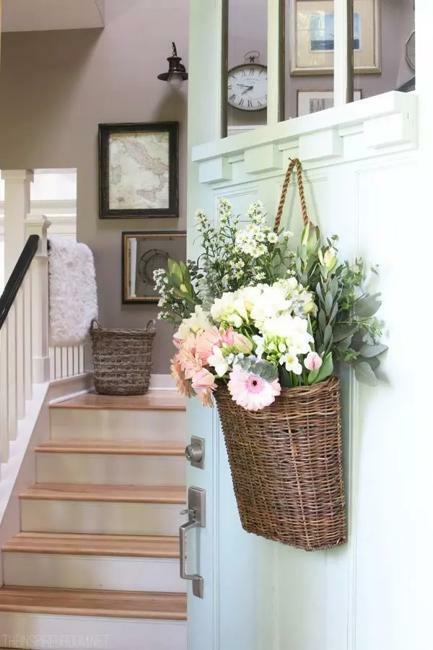 Multifunctional entryway design ideas stretch your home interiors with adding footage and turn traditional mudrooms into comfortable and beautiful spaces which make a statement. Trendy wall paint colors and modern wallpaper patterns add style to the accent walls. 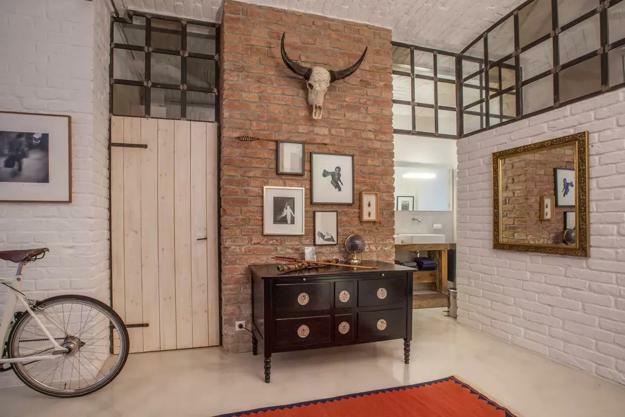 Colorful details and original accents brighten up the small rooms. Functional furniture and efficient lighting fixtures increase the visual effect. Salvaged wood, light floor tiles, metal accents are the trends in decorating mudrooms. 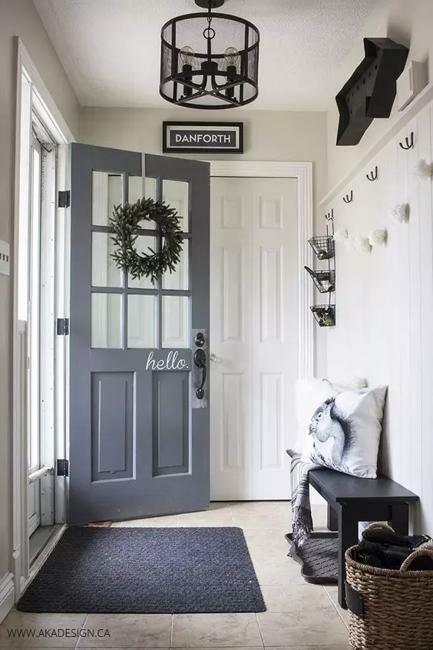 Blending minimalist ideas and vintage aesthetics or decorating a mudroom in a single style offer many beautiful options for brightening up the small rooms. Changing handles, lighting fixtures, and giving the walls a fresh coat of paint dramatically change the way entryway designs look and feel.